Married and lives in Los Altos (about 2 miles from Resurrection)....4 daughters graduated from St. Francis High School in Mountain View. My parents were good friends with the Lampan's and we fondly remember the Resurrection social events that our two families attended. 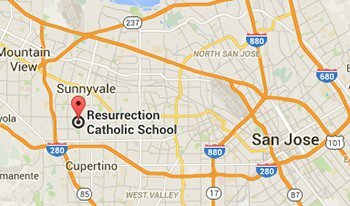 Seven members from our family graduated from Resurrection School and most of us still live in the Bay Area.